¿Estás interesado en generar proyectos a nivel local y global? Con mucho entusiasmo queremos compartir con ustedes que tres de nuestras fellows chilenas realizarán un intercambio de estudios en la Universidad Friedrich Schiller, en Jena, Alemania. 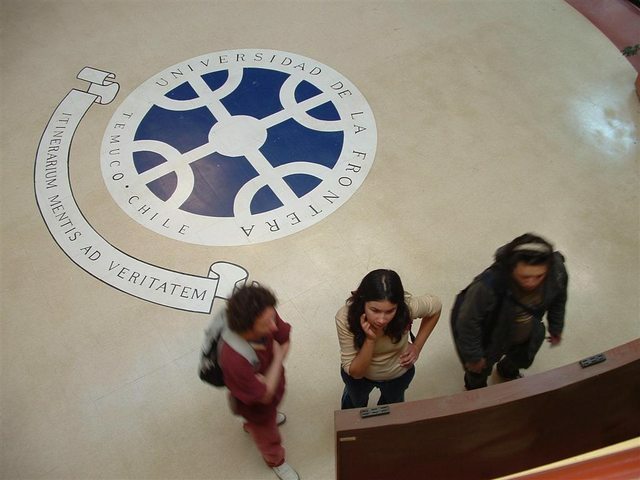 Ellas son Catalina Cárdenas y Bárbara Mora, ambas estudiantes de cuarto año de Sociología, y Cristina Mardones, estudiante de cuarto año de Psicología. Es así que felicitamos a nuestras tres fellows y les deseamos un período exitoso y lleno de nuevas experiencias y aprendizajes. Since its inauguration on March 29th, "The Secrets of India" has visited different places of UFRO University and the city of Temuco. This photographic exhibition has been planned by UFRO Campus with the collaboration of all the members of the Melton Foundation, and it includes pictures made during the last 2009 and 2004 BMS Symposium. The pictures were selected through an online poll sent to MF fellows from UFRO and FSU campuses. The Secrets of India in Universidad de La Frontera. The Exhibition was set in two of the most visited places of our University: Andres Bello and Medicine Campus, where over 7000 students go every day. 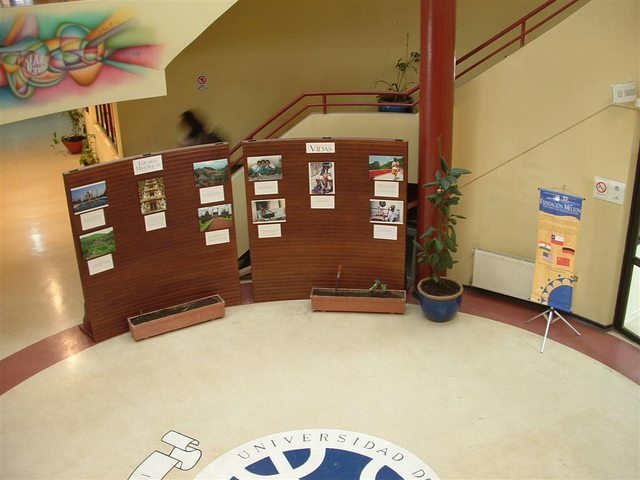 The first stop was the Central Library, on Andres Bello Campus, where the exhibition were from March 29th to April 9th. The following week, the Exhibition moved to Medicine Campus, where it was set from April 12th to 30th. "I loved it! The pictures are beautiful and the best part is that they were made by regular people (no professional photographers)". "Thanks for sharing these images of places so strange and distant for us". "Some photos are only missing the sound: it's like being there!" "Great presentation! This is a great chance for us to know more about other cultures". "The pictures are amazing. The beauty of its nature and people, their way of life... it's like traveling to another time". "Thanks for bringing to Chile this piece of history of India. Today we've learned something new". The third and last place was the most visited mall of the city, Portal Temuco. For 2 weeks (from May 3rd to May 14th), Temuco community was able to visit the exhibition and also leave feedback messages. It's important to note that the exhibition was there during Mother's Day, a day widely known for having thousands of people visiting the mall. "I think it's a great exhibition, this is just what we need in our country to know and understand other cultures and the way other people live. I hope you come back with another cultures". "It's great to see how young students of our city show us other cultures. Congratulations UFRO!". "Congratulations! The photos really reflect the magic and atmosphere of India". "The pictures take you to an amazing world. This is a great initiative, keep it going!" "It's great to know about the Melton Foundation, and even more interesting to see this amazing photographic exhibition, which is proof of the hard work of the people that's part of it." "Thanks for bringing back my memories of my land. I will never forget India, my home country." This Exhibition will be also carried out by FSU Campus in the following months, using the same pictures and format. 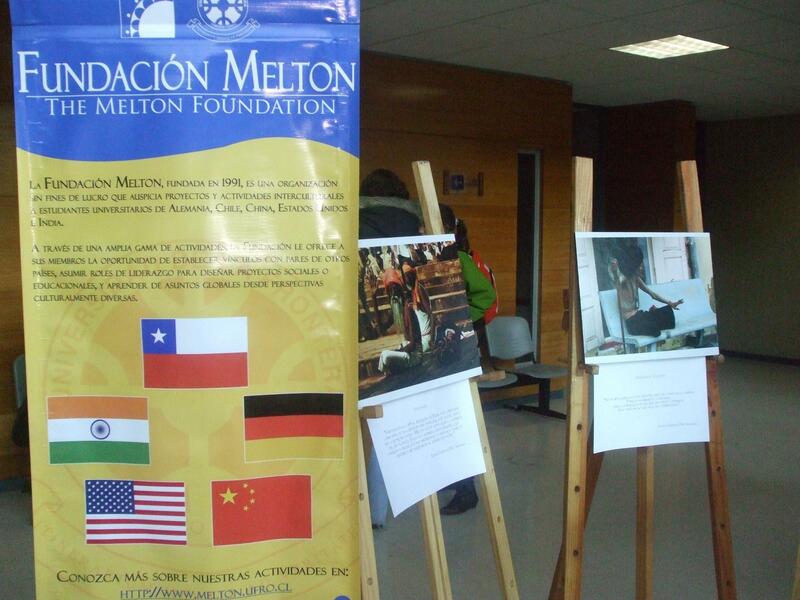 "The Secrets of India" had as main objective to bring closer the cultures that are part of the Melton Foundation to the community of Temuco, though a photographic exhibition of pictures made by Fellows that are part of the different campuses on the United States, Germany, India, China and Chile. If you want to see the pictures selected for the exhibition, please click on the following link: Photographic Exhibition: "The Secrets of India", Online Gallery. Written by Tomás González and Javier Becker, JF's; Revised by Pedro Poblete, SF.